I had planned to post my year-end chart and FiK55 review this week, however I'm not feeling too well at the moment and will also be back at work between tomorrow and Friday, so won't really have much time to blog between now and the New Year weekend. Hoping to catch up with my overdue posts then! 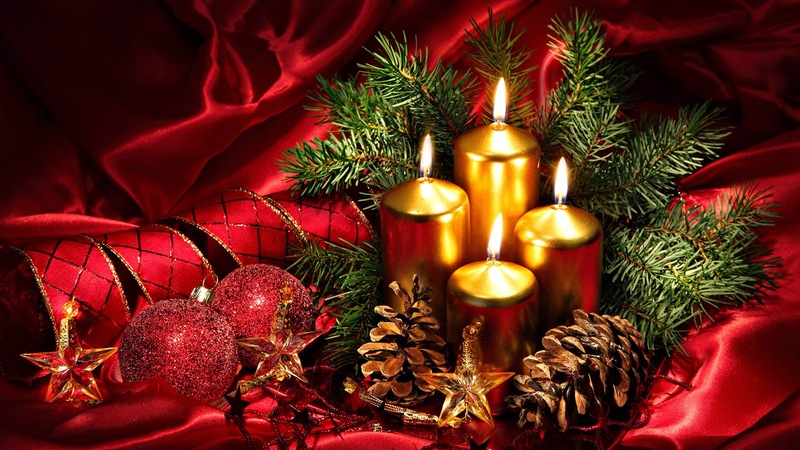 Everyone aware of European customs will know that Christmas Eve is the main attraction and is a very special day indeed. For me Christmas Eve has always had a very special and magical feeling. So in time-honoured tradition, I would like to take the opportunity today to send best wishes to all the readers of this blog for a happy, peaceful and enjoyable festive season. On Boxing Day I will be publishing my annual year-end chart of my favourite songs of the year (as well as its 'flip side', the hate chart!). Something which has become a major highlight of my festive season in recent years has been my favourite musical marathon, Festivali i Këngës. It was the epic grand final of Fest 55 last night, which was won by "Botë" sung by Lindita Halimi. I'll be posting my review of the three-night extravaganza over the next few days. In the meantime I'm off to get ready for a visit from Santa! One last outstanding post from late summer before I turn my attention to the year-end chart. Yes it's back! It's a long time since I've done one of these. The reason for that is mainly due to going on holiday and not having any music channels on TV, or programmes showing music clips. However, on our holiday in September in Carcassonne, that wasn't a problem. Between the W9 and CStar channels, there were lots of current/recent music clips to choose from and even better, about 99% of them were by French artists or other artists outwith the usual loop of overplayed artists. 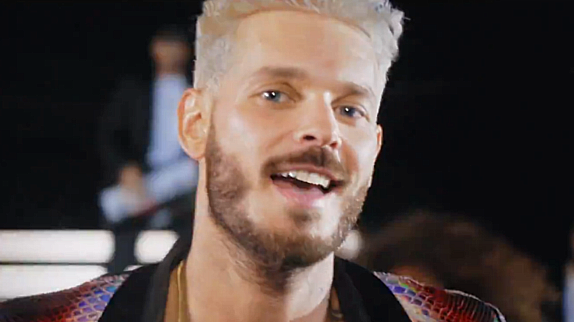 "Cette Année-La" - M Pokora. I'll admit that I was pretty shocked on seeing and hearing this video for the first time. Why? Well, for one thing, the blonde hair. Sorry Matt, but IMHO it's not a good look. Or is it maybe also a tribute to Claude François' famous blonde hair? I also didn't expect to see Matt Pokora, one of France's coolest pop stars of recent years - for the uninitiated, think France's answer to Justin Timberlake - performing a cover version of the song best known in the English-speaking world as "Oh What A Night" as performed by Frankie Valli and the Four Seasons. In the parallel universe of French-language music, the song is better known as "Cette Année-La" as performed by French music legend Claude François, who tragically died in 1978. This clip probably had the heaviest rotation of all during our short stay in Carcassonne. It's certainly a strange career move for Matt, who just a few years ago was working with Timbaland and his team, but credit to him for trying something different and acknowledging his French music roots. In case you didn't know, Claude François was one of France's most legendary singers and songwriters of his time: he wrote and recorded "Comme d'habitude" the original French version of the song later translated to English by Paul Anka and recorded by Frank Sinatra as..."My Way". "Are We Awake" - Tal. Another video which was on quite heavy rotation. I know that Tal's been quite a successful artist in France over the past few years. although I'm not familiar with her music. This is a nice easy-going pop/r'n'b number which, apart from its English title and the line "time to wake up right now" is in fact in French. I've been quite annoyed of late about the proliferation of the English language in French music, so I'm relieved that there's still plenty of native-language music around, even if a little English slips in here and there. 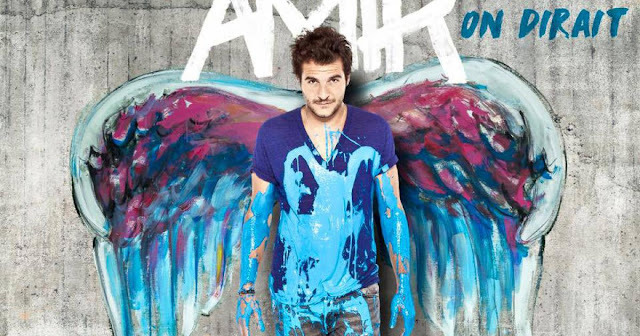 Of course Amir used the bilingual approach very well on "J'ai cherche", France's 2016 ESC entry which achieved the country's best result in the contest in 14 years. Even more pleasant is that Amir seems to be making a successful career post-ESC. This follow-up single is equally as catchy and likeable as its predecessor. 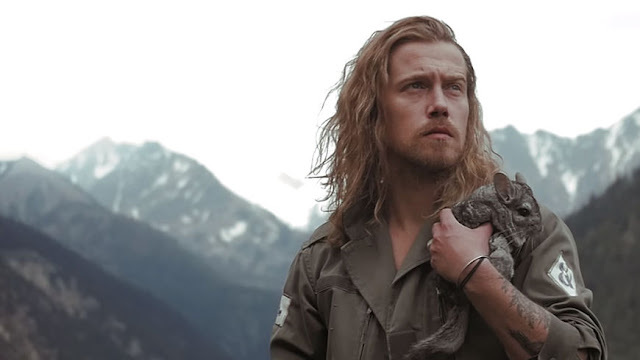 "Le Lac" - Julien Doré. Julien has followed his very individual musical path. It's a quite epic video for "Le Lac" which is quite a laid-back and hypnotic song with soft, whispered vocals by the man himself. 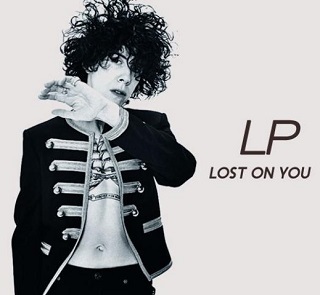 "Lost On You" - LP. Our holiday in Carcassonne introduced me to this song which has since gone on to become a very big hit in a number of European countries. In the earlier years of my blog I used to have my "Great Lost European Hit of The Year" award and this looks like being 2016's winner as so far, this has escaped the attention of the tiresome and stagnant UK singles chart. LP is American singer/songwriter Laura Pergolizzi is no overnight sensation: she initially established her career as a songwriter for the likes of the Backstreet Boys, Erik Hassle, Rihanna and Christina Aguilera, but she is now finally achieving fame in her own right with this song from her 4th album. A combination of older and younger stars. Many of our earlier holidays in France in the late 90s and early 2000s were soundtracked by Marc Lavoine who has been a big star in France since the 1980s and still remains popular today. This is quite a haunting and hypnotic tune which grabbed my attention on the music video shows. 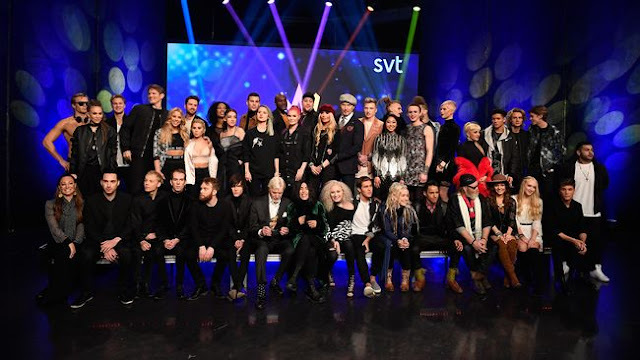 Surprises can be thin on the ground in the Melfest bubble, particularly when most of the line-up is "exclusively revealed" by the Swedish tabloids in the weeks leading up to SVT's official presentation of the artists and song titles. However if you are a fan of the contest then at least some of your own predictions/speculation will probably be right. I call it the Melfest bubble because over the past few years, most of the artists appearing in the contest have had no lasting success outwith the contest, so we shouldn't really be surprised by recent performers making a quick comeback or older established stars having one more shot. They're all guaranteed maximum Swedish media coverage and of course that all-important attention from the wider fan community. The announcement of the 2017 Melodifestivalen artists on 30.11.2016 brought one genuine, almost-fell-off-my-seat surprise. Loreen? I mean, really, who expected that? Obviously no-one, as this completely slipped under the rumour-radar. Loreen's "Euphoria" is one of the most iconic winners of the modern Eurovision era: in 2012 it blended song, performer, performance, choreography, lighting and staging in a way which had never been done at the Eurovision Song Contest before. It has become one of the most popular winners within the fan community. It redefined what we expect from "a Eurovision entry" and had a massive impact on the contest as a whole. Bearing all that in mind, you'd wonder why Loreen wants to come back. But since 2012, she has not been able to build on her success. So perhaps we can understand why she wants to return to Melodifestivalen, although my own view is that we will inevitably be disappointed. She may surprise us though...! At this stage, we don't know anything about the songs so we have to focus on the songwriters. Fredrik Kempe songs either for the first time in, is it, 10 years? I wonder if that's his punishment for going to work for the "other side" joining the judging panel on TV4's Idol? The Debs-and-Anton have a much lower profile than in previous years, with only two songs in the 2017 contest. One songwriter who is definitely back in the Melfest fold is Thomas G:son, fresh from his success with Cyprus and Georgia in 2016. It will be very interesting to see what style of song he delivers in Melfest: will he return to the schlager which made his name, or will he stick with the pop-rock which has brought more recent success? Ace will be hoping it's third time lucky, but to avoid Melfest's law of diminishing returns, it will need to take a very special song and production to finally get her to ESC - or maybe she's going down the Sanna Nielsen route (make enough appearances and eventually Sweden will send you). Glad to see Boris back after an enjoyable debut. There's also a welcome return for dance diva Dinah Nah, whilst Charlotte is back in "it's not schlager!" shock despite her schlagertastic interval act in 2016, and internet stars De Vet Du could be the new Samir and Viktor. Don't know anything about new names Adrijana or Nano - they may surprise us although could be left on the sidelines of a heat where it's all about the name-recognition. This heat boasts the worst song title of the year: if you thought "Youniverse" was bad, don't even start me on "Good Loovin'"! Benjamin is the son of Melfest legend Pernilla Wahlgren so he will get a lot of attention in a heat with 3 new/unknown names as well as returning recent artists Lisa Ajax and Mariette. I think Lisa and Mariette will be a cert to qualify. Ola is back and it will be very interesting to see what his co-write with the Debs-and-Anton delivers. The other big news in this heat is the return of Roger Pontare. Will he get a Hasse Andersson-style bounce and make it to the final or will he suffer the fate of "older" artists who have competed over the past couple of years and failed to make it? With Ola Salo and Peter Kvint as songwriters, I'm particularly looking forward to the entry by Dismissed. This heat will be a headline-grabber thanks to the appearance of Melfest's oldest ever artist, Ove Thörnqvist, and in contrast there will be a lot of attention given to the hugely popular young boyband The Fooo Conspiracy. There's some heavyweight songwriting talent here - "Mutt" Lange (ex-husband of Shania Twain) has been responsible for writing and/or producing a massive number of hit songs and albums over the years - https://en.wikipedia.org/wiki/Robert_John_%22Mutt%22_Lange whilst Tony Nilsson has written/co-written some Melfest classics in the last decade including "Love In Stereo", "The Queen", "Headlines", "You're Out Of My Life", "Like Suicide" and "Shout It Out". Bella and Filippa could also be surprise qualifiers with their country-flavoured sound. Aah, heat 4, which over the past couple of years has been "the one with the winner in it". So I'm not surprised at all to see Wiktoria in this heat; it was inevitable that she would return quickly and there is definitely a whiff of "the chosen one" here. She has some competition here though: much will be expected of Loreen's song, whilst returning artists Sara and more recently, Jon Henrik have been Melfest finalists in recent years therefore they would also be in with a chance. Don't write off the Idol-effect though, as 2008 runner-up Alice Svensson (with a Wrethov co-write) and 2015 4th-placed Axel Schylström are also making their debut in what could be quite a hotly-contested final heat. So who is going to win Melodifestivalen 2017? We will know the answer in March 2017, but in the meantime we will just get excited and speculate wildly until it all kicks off in just 8 weeks time! Reboots, reunions, revamps, call them what you like - when it comes to TV shows, they don't always work. In my November TV review I'm focusing on two much-loved TV favourites who have made a comeback over the past couple of months. Firstly I caught up with the revived series of "COLD FEET" (ITV) which recently returned to our screens with its 6th series, 13 years after it made an emotional farewell. This show was a phenomenon when it arrived on TV in the 90s. But would it work in the 21st century? The answer is a definite yes. It is of course a testament to the quality of the writing and acting on this show, that it was no time before it felt like they had never been away. And one very important thing hadn't changed - David remains one of the most irritating characters I can remember in a TV drama. Cold Feet deserves the praise though - it's warm-hearted, funny and sad, mixing light-hearted and serious issues, but in the end it's just a lightweight, soapy relationship drama - an everyday story of Mancunian middle-class folk. After the show's success with the critics and viewers alike, it wasn't too surprising to learn that the series has been renewed for another series on ITV. However, contrast this with the rather shabby treatment by ITV of another lightweight drama series which also enjoyed ratings success over this summer. Things were looking good for "Brief Encounters" after a successful first series. so it was expected that the 80s-set story of Ann Summers reps could be returning for a second series. However, ITV announced that they would not be recommissioning the show. Like Cold Feet, it's a lightweight, soapy drama about relationships, and family, and it's also set "up north". But the characters in "Brief Encounters" are more working-class, more "ordinary" than the reasonably affluent protagonists of "Cold Feet", and the series has not been given the chance to develop characters and storylines to the extent that "Cold Feet" was able to do over several series. This to me says a lot about the television executives who dictate what appears on our TV screens. One final mention of "Cold Feet" for a moment - and a very familiar face turned up in the final episode. None other than Sanjeev Kohli, best known as the hilarious shopkeeper Navid, one of the best characters in "Still Game". Which brings me on to the 7th series of a Scottish comedy institution. "STILL GAME" (BBC1). 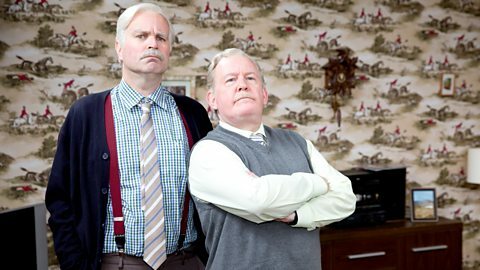 The main characters, Jack and Victor, initially appeared in that other Scottish comedy institution, "Chewin' The Fat", before being given their own spin-off which ran for six series before Greg Hemphill and Ford Kiernan ended their partnership somewhat acrimoniously. But time of course is a great healer and the consistent popularity of what is (in this part of the world) a very relatable comedy meant that the calls for a reunion just kept on coming, whilst we were all wearing out our copies of the DVD series 1-6 box set). Eventually the gang reunited for a series of sell-out live shows at the SSE Hydro arena in Glasgow in 2014. This was recorded live and televised by BBC Scotland however if I'm honest, I found it a huge disappointment watching it on TV. I guess you had to be there. What couldn't be argued was that there was still a massive appetite for this show, so it was great news when a long-awaited new series was announced. Something else happened on the way to series 7: the show reached a much wider audience via Netflix. Anyway, was the new series worth waiting for? Well, yes, I would say, although there has been some criticism but I think that may be down to the burden of expectation which would inevitably result in disappointment. "Your dug needs a gastric band!" The series ended on a slightly disappointing note for me but on the whole I didn't think the series was as bad as some people made out. It looks as if this will be the final series as there will be another series of live dates in 2017 - which will not be filmed, and the title of the shows is "Bon Voyage" which suggests something quite final. A quick mention for the latest instalment of "THE PEOPLE'S HISTORY OF POP" (BBC4) which covered the decade 1986 to 1996. It was Lauren Laverne's turn to take us from Depeche Mode to the rave scene, the Hacienda, Take That, Blur and the Spice Girls. A particularly poignant end to the show featuring Craig Gill, the Inspiral Carpets drummer, and his memories of Oasis. Craig passed away in the week the show was aired; one of far, far too many losses to the music world in this hellish year. I'm still struggling to get through the TV backlog - haven't seen series 2 of "Humans" or "The Code" yet whilst I'm slowly working my way through series 2 of "30 Degrees In February" and will review that in my December post. And despite promising myself Netflix in November, well that still hasn't happened!